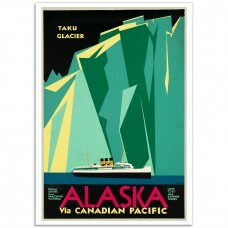 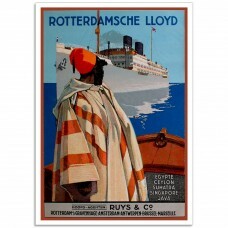 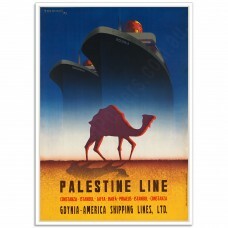 Vintage posters promoting the golden age of ocean travel. 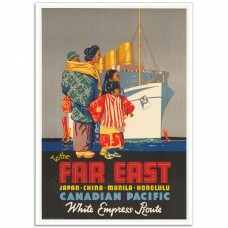 Posters promoted the golden age of transatlantic travel, when cruising became the elegant way to see the world. 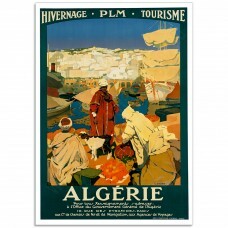 Algerie PLM Hivernage TourismeA Vintage French Travel Poster by Leon Cauvy.The Title of the poster i.. 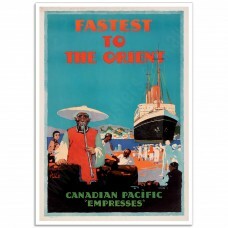 Fastest to the Orient - Vintage Steamship Travel Poster.Canadian Pacific EmpressesArtwork for the or..
Palestine Line - Vintage Steamship Travel Poster.Constanza - Istanbul - Jaffa - Haifa - Piraeus The ..
Rotterdam, Rotterdamsche Lloyd - Steamship PosterVintage Dutch Steamship Travel PosterThe original i..
Taku Glacier - Alaska via Canadian Pacific PosterA poster by Charles James Greenwood promoting cruis..
To the Far East - Vintage Steamship Travel Poster.Japan, China, Manila, HonoluluThe original Colour ..